For those bodybuilders and keen athletes amongst you who want that extra edge, you'll love our 'cutting edge' range. What is the Cutting-Edge range? Protein powders, weight gainers and creatine are vital products to support your training goals, but they are just the basics. If you want to really take your training intensity and physique to new levels, you need 'extra' support and performance nutrients to really fuel every part of your training programme, thus leaving nothing to chance. Each formula contains a precise blend of specialised and researched nutrients to support your training goals in different areas. 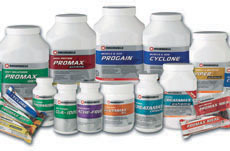 These exciting and unique formulas are exclusive to Maximuscle. They are very potent, and will deliver the desired results when used correctly. 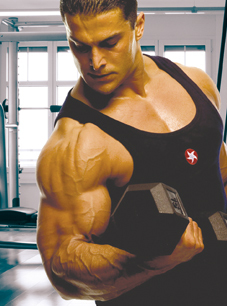 Many of Britain's top natural bodybuilders use them before, during and after training for the optimum results, as well as many top, dedicated athletes. The cutting-edge range is designed for serious bodybuilders or endurance athletes who want something extra to add to their training to ensure they can take their performance to new levels, personal bests and break records.